The next time you’re in the mood for sushi, tempura, teriyaki and other Japanese dishes, head over to Little Tokyo in Downtown Los Angeles. Located southeast of the Los Angeles Civic Center, the lively and well-maintained Japanese American neighborhood is among L.A.’s most delightful ethnic neighborhoods. It’s where locals and tourists alike can enjoy an authentic Japanese meal and shop for imported clothing and trinkets. Consisting of about five large, pedestrian-friendly city blocks, the Little Tokyo (or J-Town as it’s also called) is among a small handful of Japanese American neighborhoods in California. The area is populated by longtime residents and business owners who are proud and protective of this historic district. When my family and I visit this charming, ethnic neighborhood, we usually park in a public lot at First and Central Streets. We get our parking ticket validated at one of the restaurants in the Japanese Village Plaza. Here are a few of our favorite places in Little Tokyo. After parking your car, stop by the Little Tokyo Koban, a traditional Japanese-style information center staffed by LAPD volunteers. So you don’t miss any highlights or events happening in the area, pick up free brochures, maps, bus routes, and event-filled local publications, such as Sushi & Sake. The friendly staff can give you some good dining and shopping tips 307 E. First Street, L.A. Established in 1903, Fegetsu-do is the place to go for traditional Japanese mochi (rice cakes) and manju, (a chewy, pounded rice mound filled with various flavored paste), shave ice and sembei (Japanese rice crackers). For just $1.10 you can get one good-sized mochi that’s big enough for two to share. Located in the heart of Little Tokyo’s historic district, Fugetsu-do is the longest operating family business in Los Angeles. 315 East First Street, L.A. 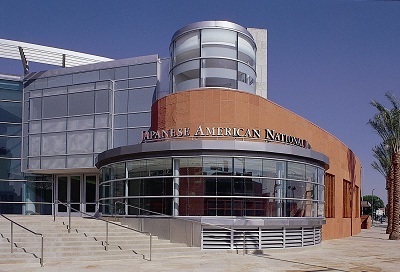 This must-see museum depicts the story of American Japanese ancestry in the U.S. through exhibits studded with artifacts, art and computer-enhanced home movies. During World War II, many Japanese living in California were forced to move to relocation camps while others fled to nearby states. Before leaving the museum, relax with a cup of tea at the downstairs Chado tea room, which features 260 varieties of tea as well as sandwiches, cakes and scones. An outdoor Japanese water garden provides an ideal setting for an afternoon tea. Museum admission: $9 general, $5 ages 6 – 17. 369 East First Street, L.A. The Japanese Village Plaza is a popular outdoor mall with colorful boutiques and authentic Japanese eateries. Shinyodo Fine Jewlery & Gift is easy to find with its colorful kimonos fluttering in the breeze by an open door. Inside, tables and shelves are laden with imported items, such as Japanese dolls, delicate tea sets, shoes, paper lanterns, handbags and clothing. 129 Japanese Village Plaza, L.A. 213-687-7080. There’s a good reason this restaurant is popular with both locals and tourists. A Japanese Village Plaza staple, the restaurant serves a traditional (and very tasty) all-you-can-eat Japanese lunch buffet (25 items) for $8.50 per person, and a dinner buffet for $10. Try to snag a window table on the second floor for nice views of the plaza shops. Nightly karaoke from 5 to closing. 122 Japanese Village Plaza, 213-628-2678. The rotating sushi bar is the attraction here. Take a seat at the counter and make your selections from a conveyor belt laden with California Rolls, yellowtail hand roll, salmon, spider roll and other sushi items. You can also order from a menu. 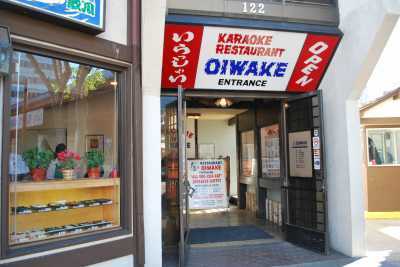 120 Japanese Village Plaza, L.A., 213-680-0567. 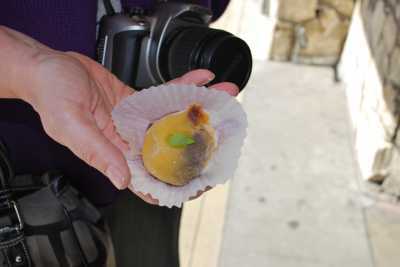 This ice cream and pastry shop serves mochi ice cream, a traditional Japanese chilled dessert. The strawberry mochi is a great starter if you’re not sure what flavor to sample. $1 per mochi. For kids, try a serving of the rainbow twist ice cream. 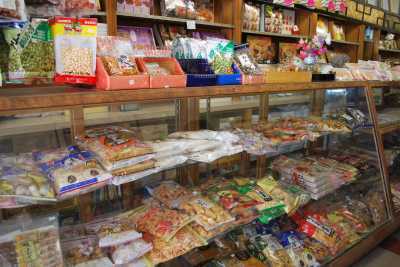 You’ll also find a good variety of wagashi (Japanese desserts), which include cookies and cakes. Mikawaya has been serving wagashi (Japanese desserts and pastries) since1910. In 1994, the pastry shop introduced mochi ice cream. 118 Japanese Village Plaza, L.A. Located on the third floor is the Garden in the Sky, a great place to zone out in the half-acre, Zen-inspired garden, which is a mini replica of a 400-year-old, 10-acre garden in Tokyo. 120 S. Los Angeles Street, L.A.
For more travel stories and tips, follow Los Angeles Traveling Mom, @mimitravelz. Mimi Slawoff is a Los Angeles-based writer and mother of three who has a monthly family travel column in L.A. Parent magazine (www.laparent.com). She is also associate editor at Santa Clarita Living magazine, and writes for the Los Angeles Convention and Visitors Bureau, as well as for Trip Advisor.